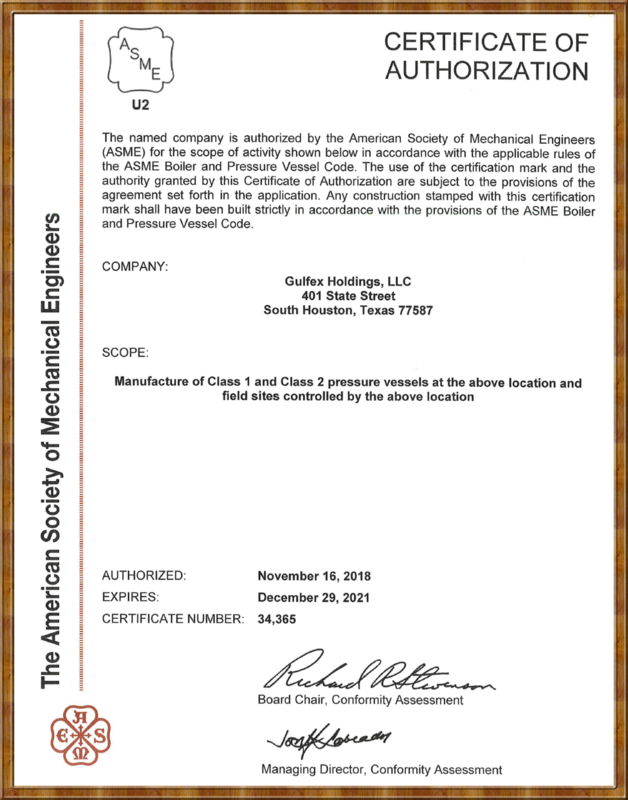 Gulfex holds an ASME Code Section VIII Division 1 Certificate of Authorization. 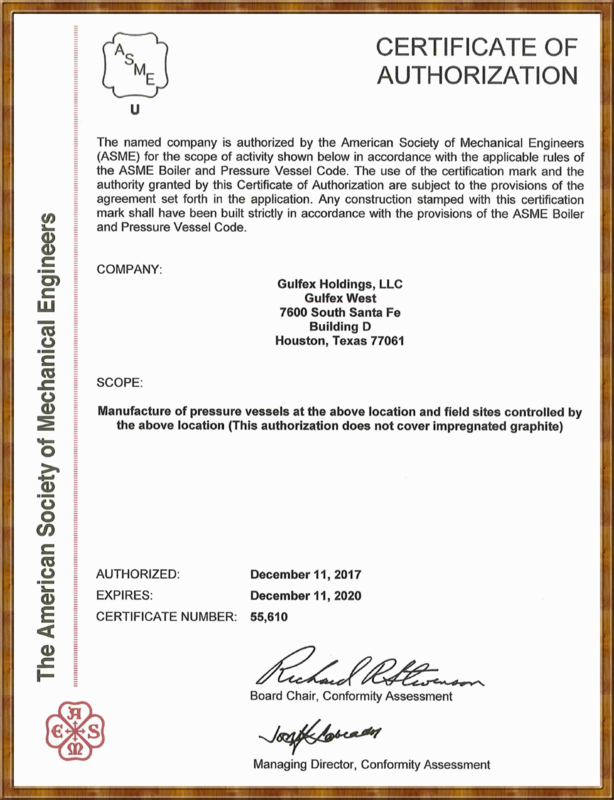 Gulfex has experience and expertise in designing and fabricating ASME Code Compliant pressure vessels. 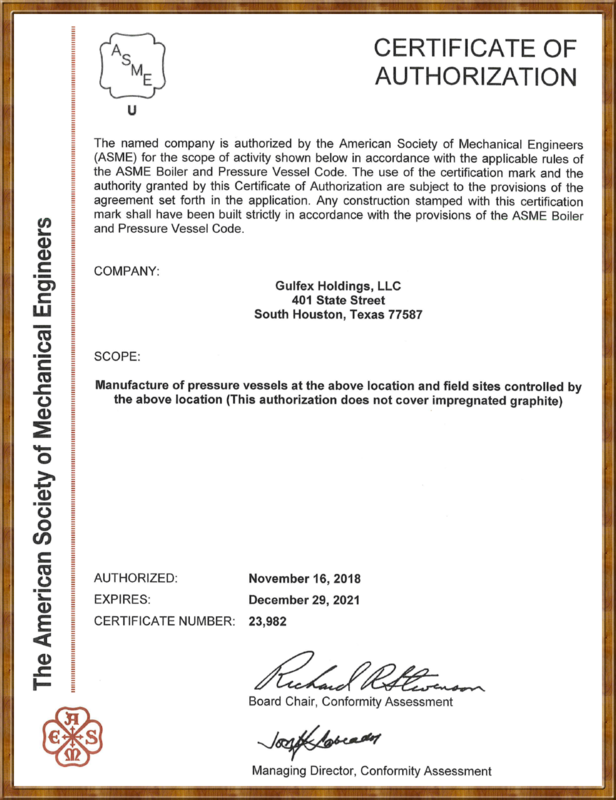 Gulfex holds an ASME Code Section VIII Division 2 Certificate of Authorization. 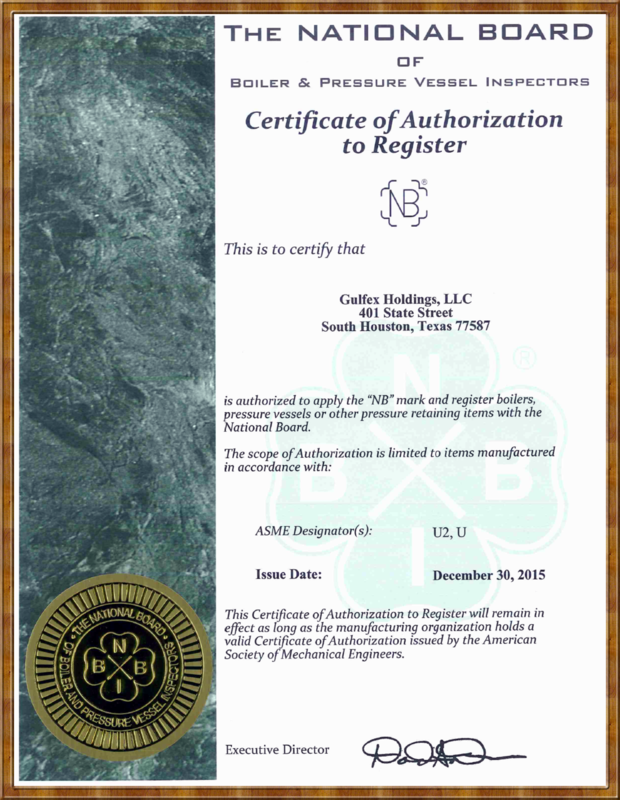 Gulfex also holds a National Board Certificate of Authorization to Register. 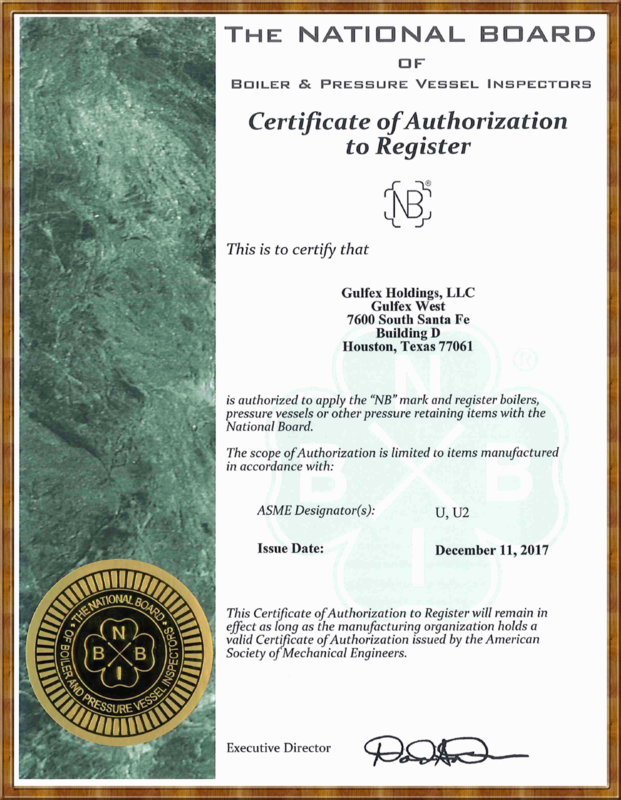 As a general practice, pressure vessels fabricated at Gulfex are registered with the National Board of Boiler and Pressure Vessel Inspections. 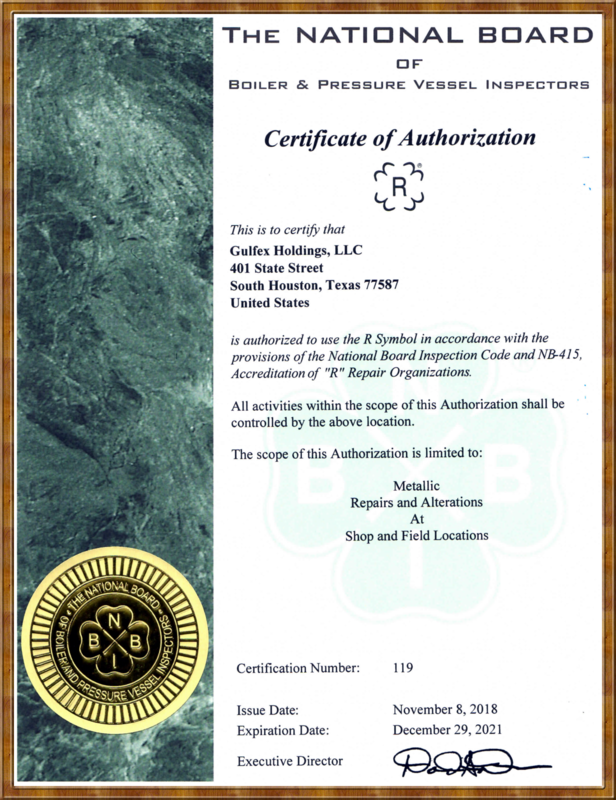 Gulfex also holds National Board R Certificate of Authorization. 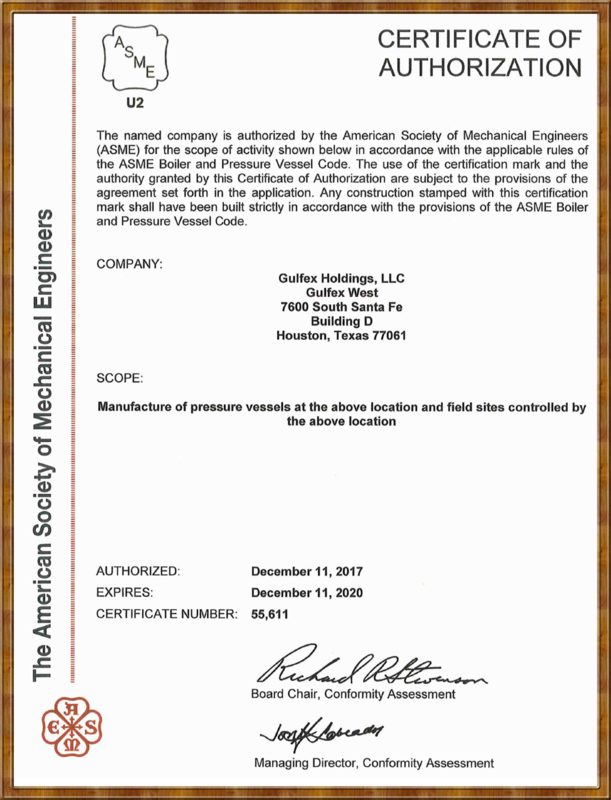 Gulfex is capable of performing Code-compliant repair and alteration to in-service pressure equipment.